How to Prepare for a Criminal Trial? Criminal trials often involve thousands of pages of documents, and your attorney will likely request your assistance in gathering documents for use in your defense. Many of these documents may be years old and may be difficult or time consuming to track down. For example, a defendant may need to procure 5-10 years of bank records. You should factor in that you may need to wait on third parties, such as your bank or accountant, to compile such records on your behalf. And as a result, you should be proactive and prompt in your collection of documents in anticipation of a criminal trial. Anything you say can be used against you including any social media posts or anything stated in a social media profile. If you are facing a criminal trial, you should immediately stop posting and disable all social accounts, such as Twitter, Facebook, Instagram, Snapchat, or Reddit. Government investigators often monitor defendants’ social media accounts for information to use in their case against the defendants. Likewise, they may subpoena your social media records to use as evidence. This subpoena may be directed at you or the social media host that you are using, and the subpoena may cover private messages as well as public posts. Your right to refrain from self-incrimination is one of your most useful assets in a criminal trial, but that right is only valuable if you exercise it and refrain from making public statements that can be used against you. While you should not create new social media posts, you should not delete or otherwise destroy any posts you have made in the past. The prosecution may view such actions as obstruction of justice, which is a criminal offense and may be prosecuted in addition to the existing charges against you. Do not discuss your case with anyone, including employees, co-workers, friends and family. The prosecutor can call anyone with knowledge of the case to testify against you, and you need to assume that everyone around you could be a witness for the government. Therefore, you should conduct yourself as if anyone you speak with is recording your conversation. If you need to discuss your case with someone, you should call your lawyer, whose communications with you are strictly confidential. Additionally, government investigators may subpoena your records of communications, including your emails, faxes, text messages, or phone logs. Any information about your case that you convey electronically may be obtained by the government and used against you as evidence in court. Bear in mind that the subpoena may not be directed toward you; it may be directed toward the individuals you communicate with or even your email server or telephone company. Any destruction of evidence can be treated as obstruction of justice by the prosecution and will subject you to additional criminal charges on top of those already against you. Prosecutors take obstruction of justice extremely seriously, and they often use the threat of obstruction of justice charges as leverage during plea negotiations. Destruction of evidence includes any deletion or altering of electronic files, paper documents, recordings, images, or other records. Additionally, destroying electronic devices that contain files, such as cellular phones or computers, may also constitute destruction of evidence. Notably, the government does not need to have requested evidence from you in order for obstruction charges to apply. The minute you learn of a criminal investigation, you should immediately take measures to discontinue any auto-delete software in your computer, email, or voicemail systems and take precautions to preserve any tangible items such as hard drives, cell phones, or paper files. If you are facing criminal charges, you should call Oberheiden, P.C. today for a free and confidential consultation. 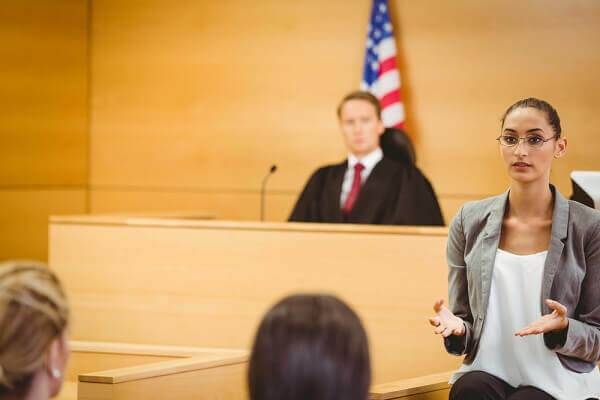 Our team of former prosecutors and experienced defense attorneys understand both sides of a criminal trial and we will put our knowledge and experience to work for you. We are available seven days a week, including weekends, to speak with you about your case.